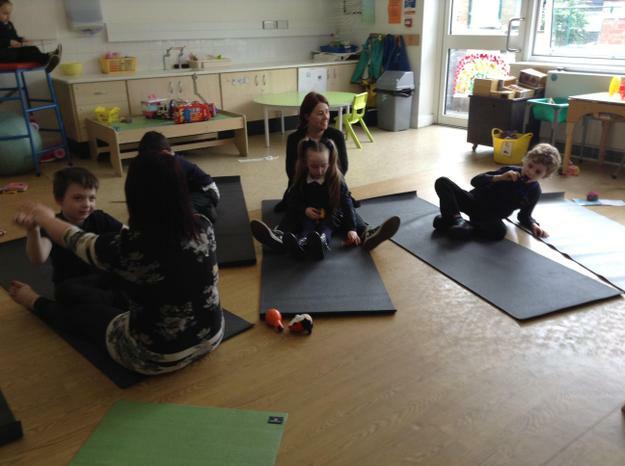 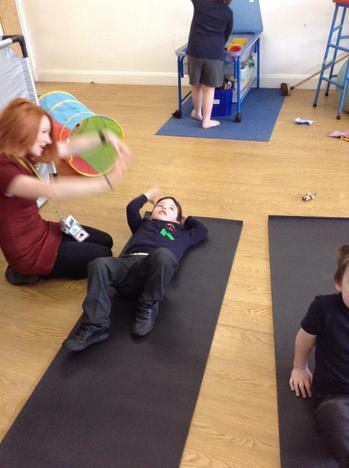 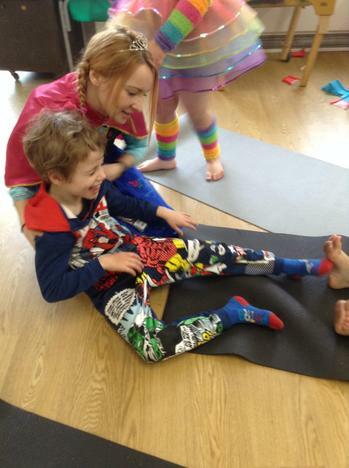 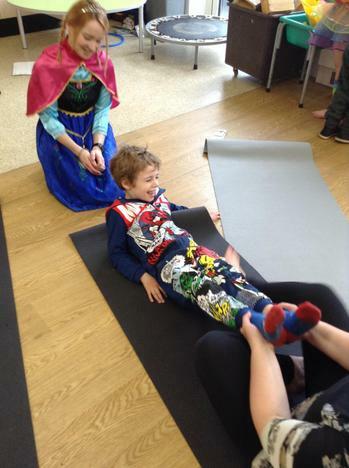 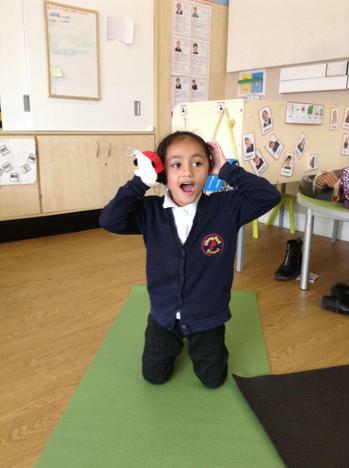 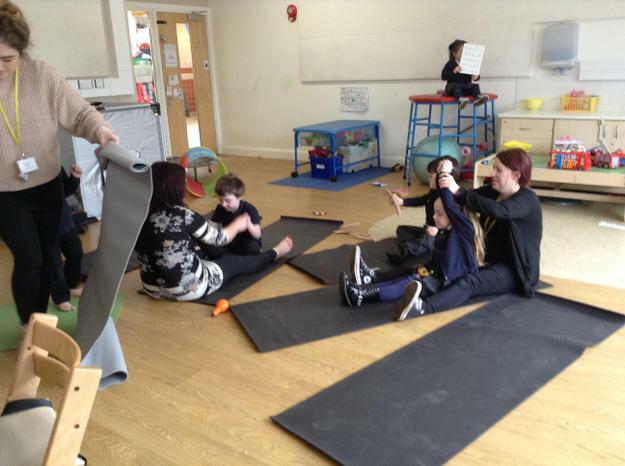 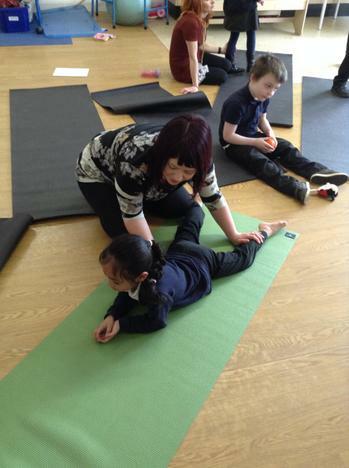 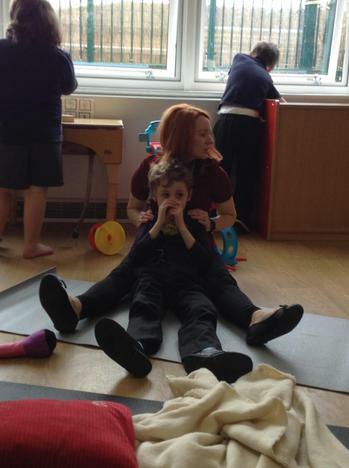 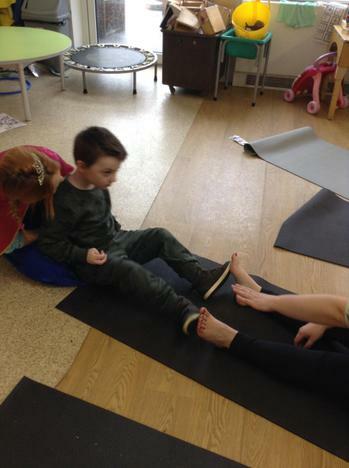 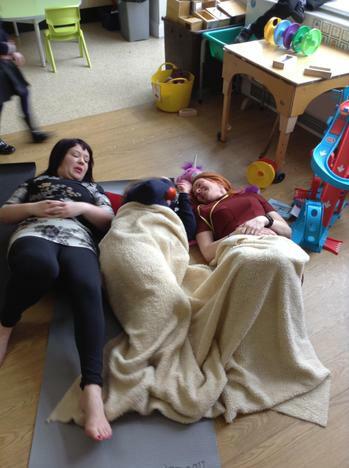 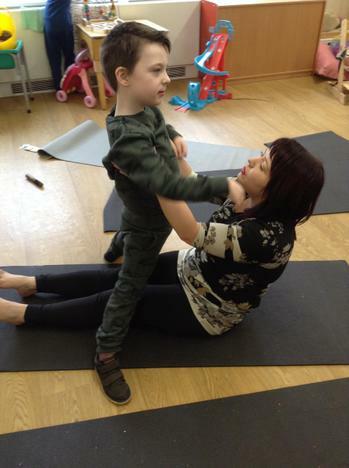 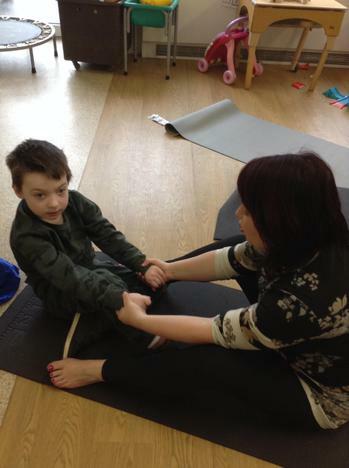 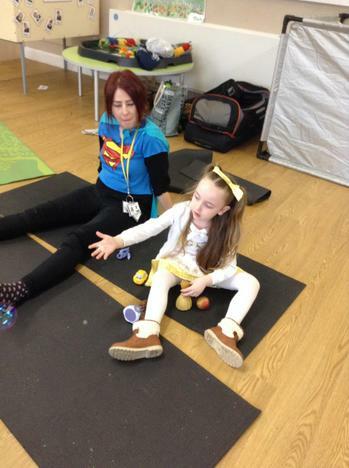 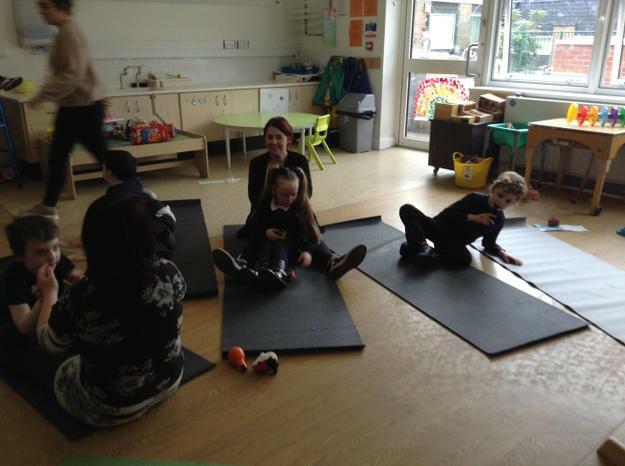 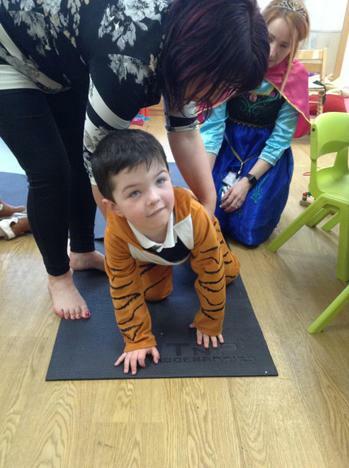 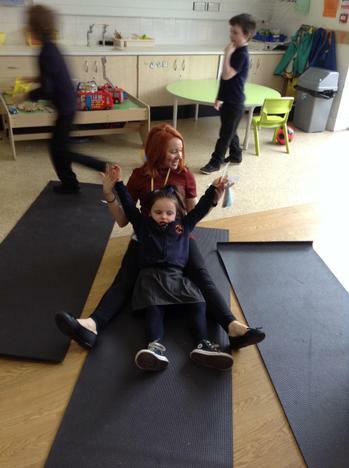 The children in Lime class have enjoyed a fantastic course of yoga sessions this term. 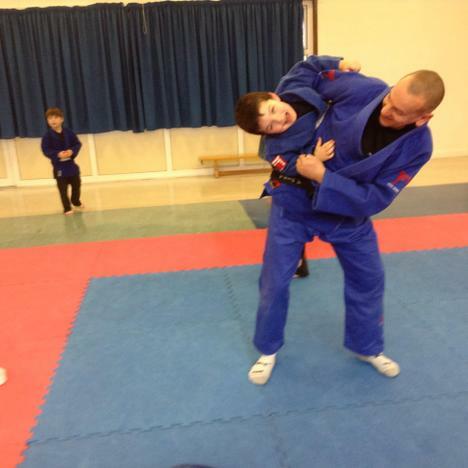 The sessions were completed in the classroom and were very relaxed. 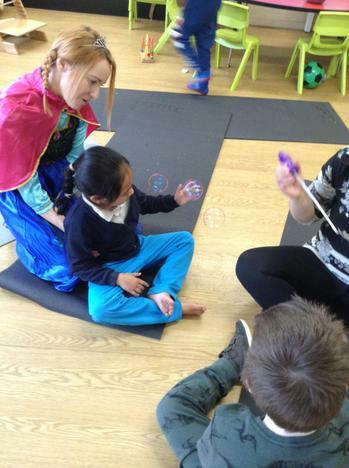 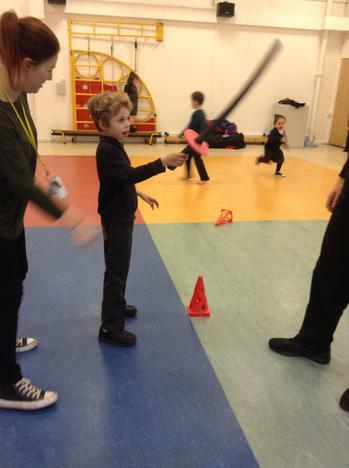 The onus was on the children joining in of their own choice which worked really well. 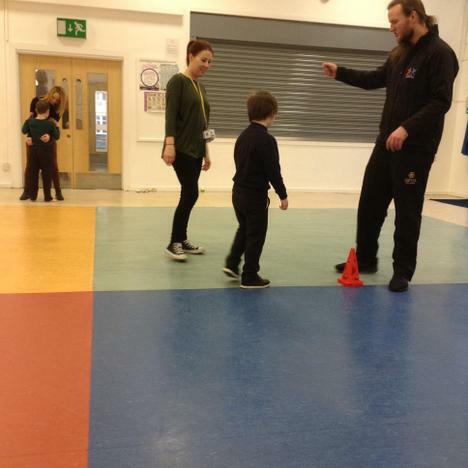 By the end of the sessions, all of the children were engaged at some point during the session. 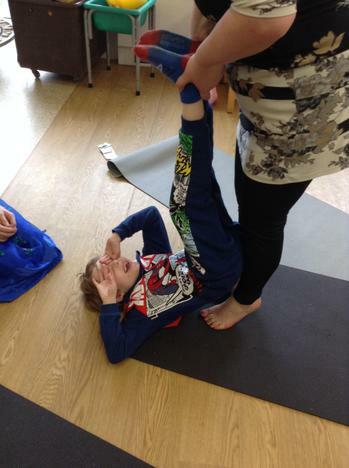 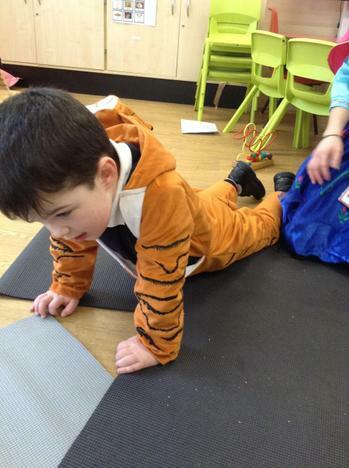 Some of the children showed real skill when displaying their yoga moves and flexibility. 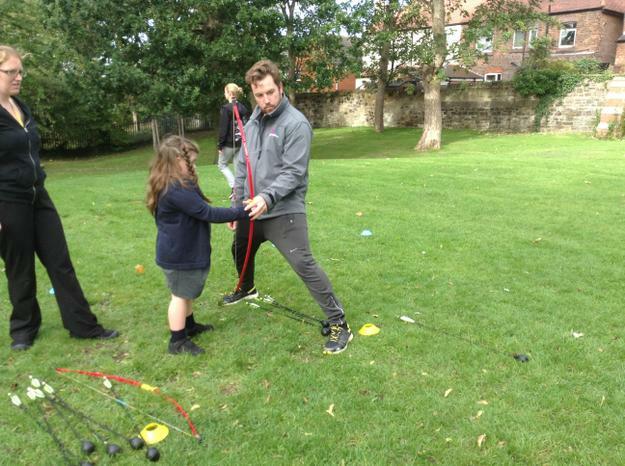 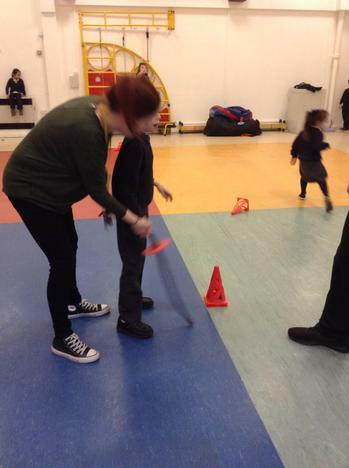 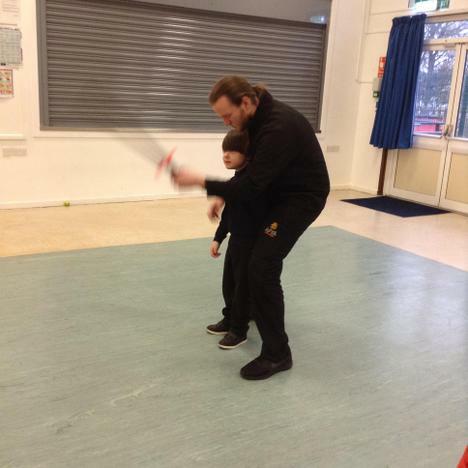 Lime class have enjoyed a fencing coaching session this term with a specialist coach. 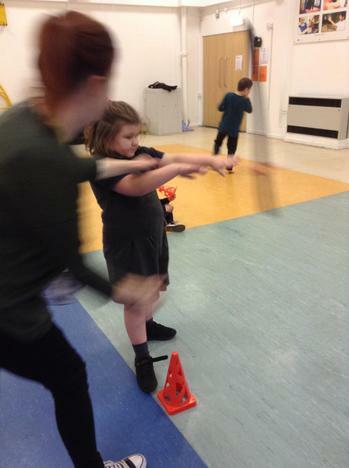 The children have responded well to the activities and as the weeks have progressed they have started to join in with more independence. 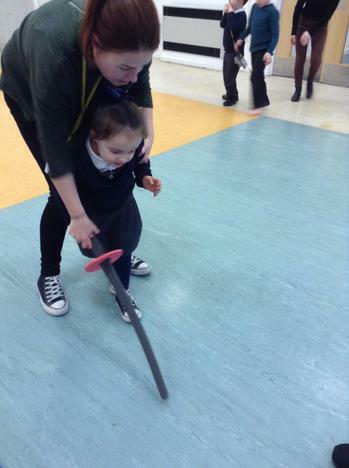 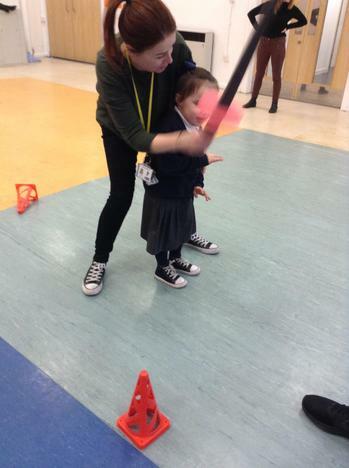 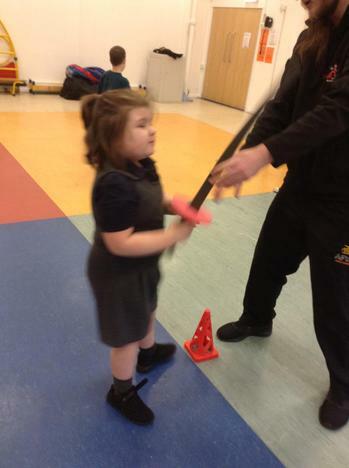 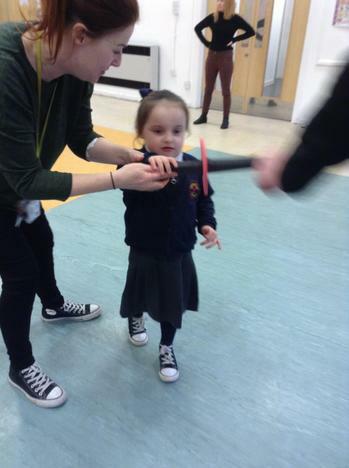 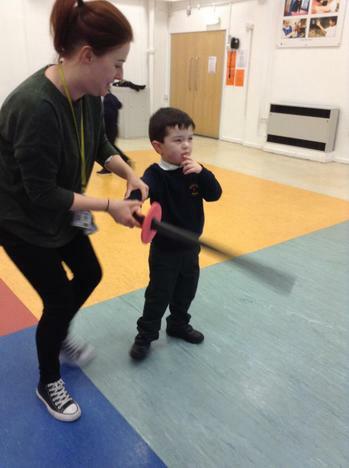 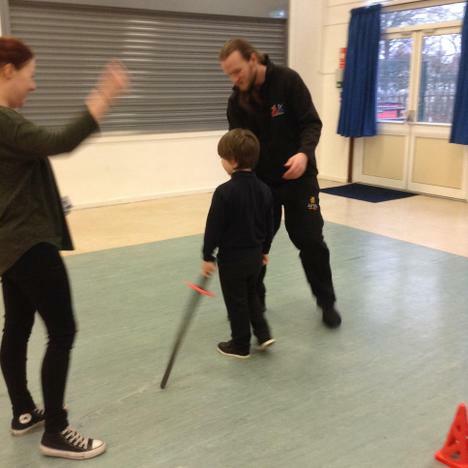 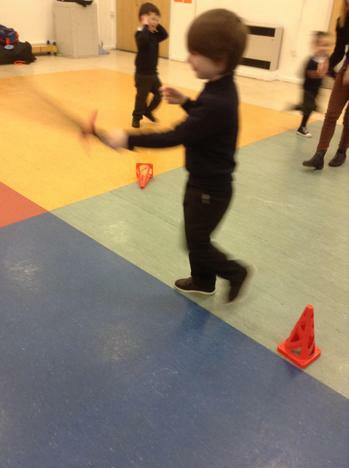 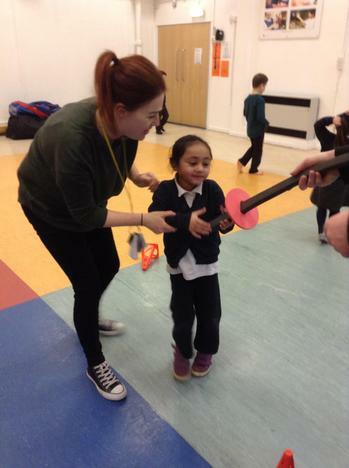 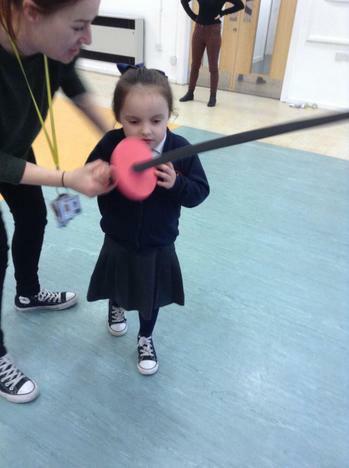 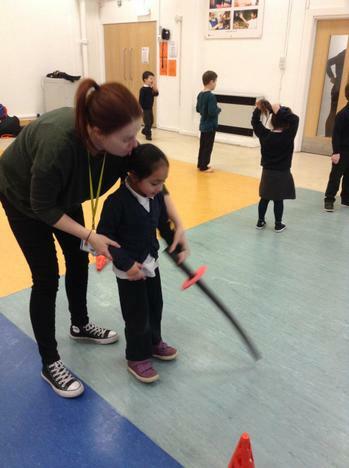 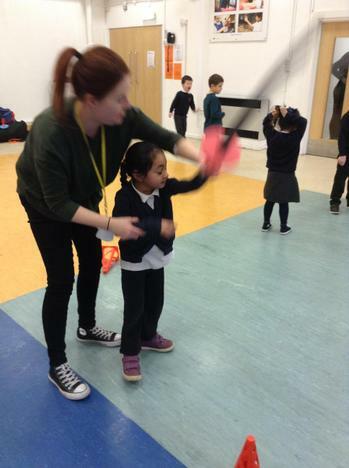 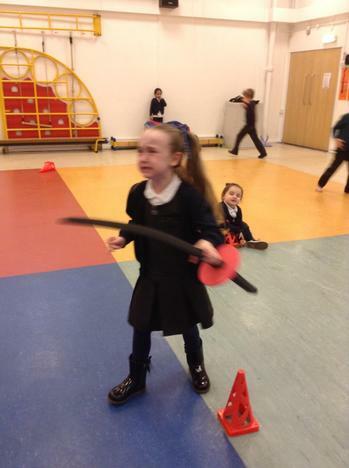 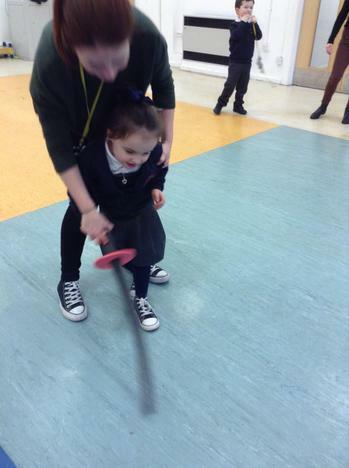 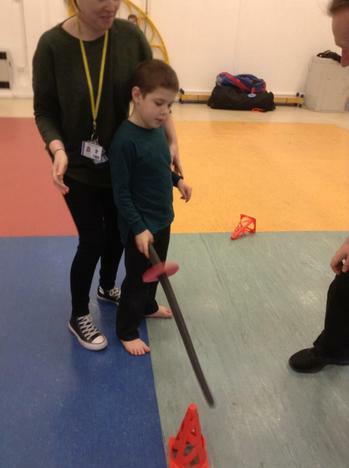 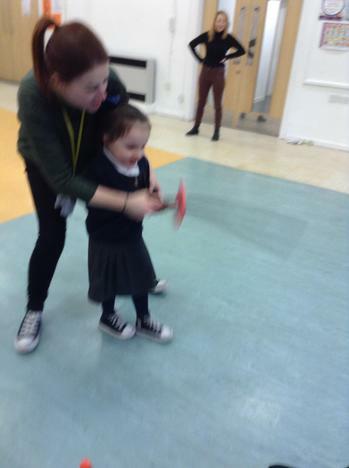 The sessions involve travelling around the hall in different ways and developing the children's gross motor movements through different actions with the sword. 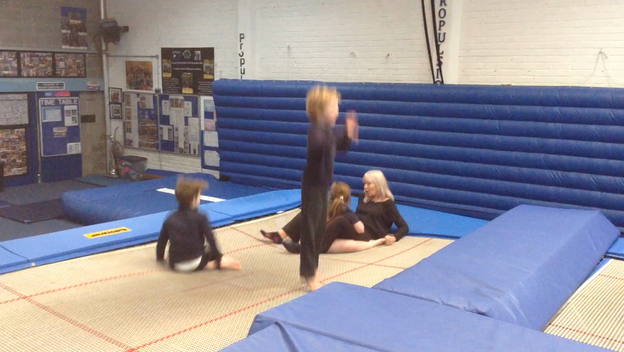 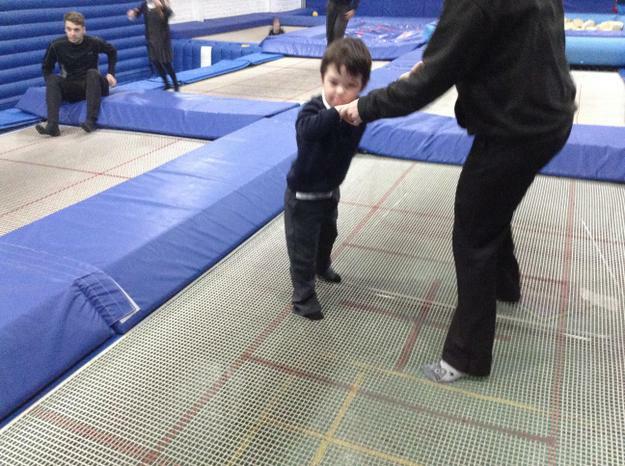 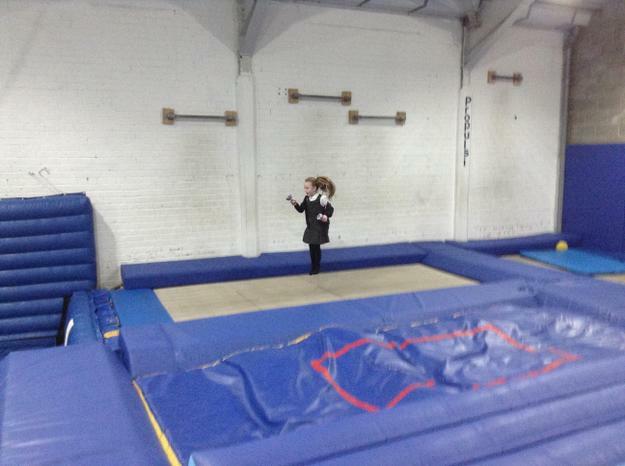 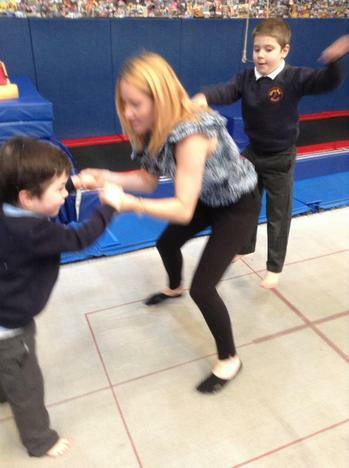 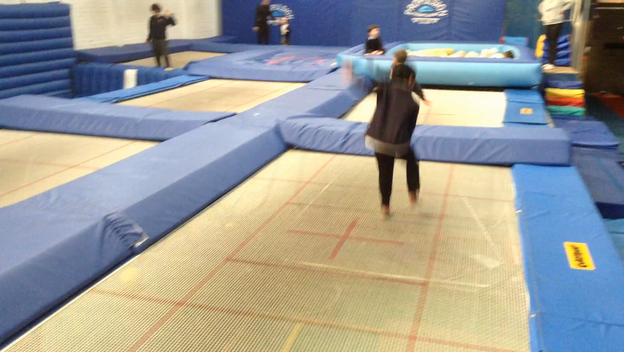 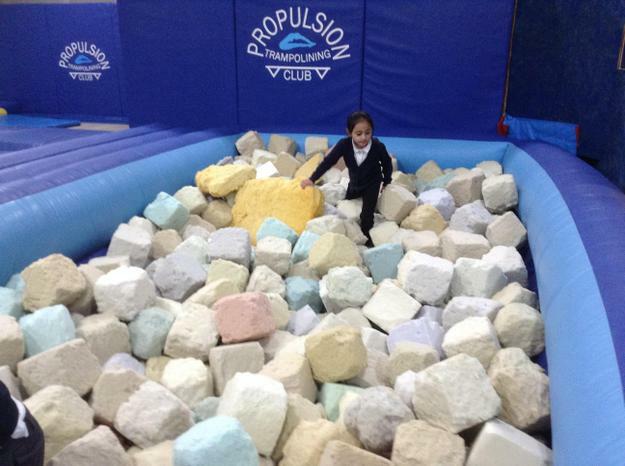 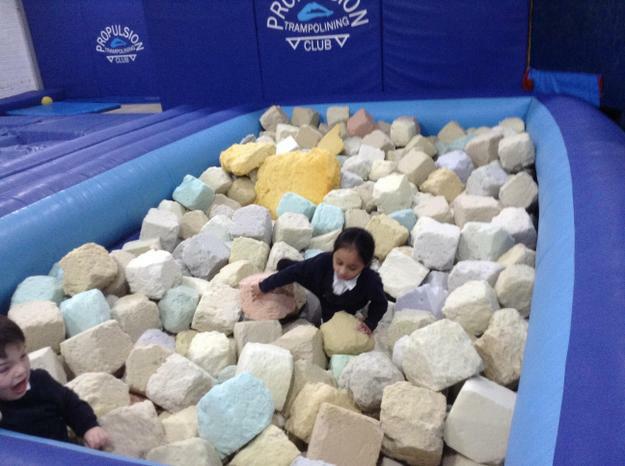 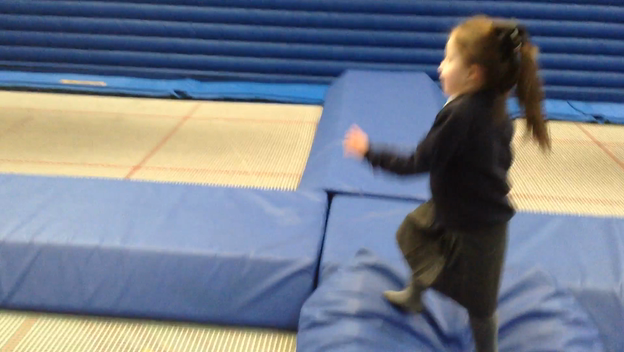 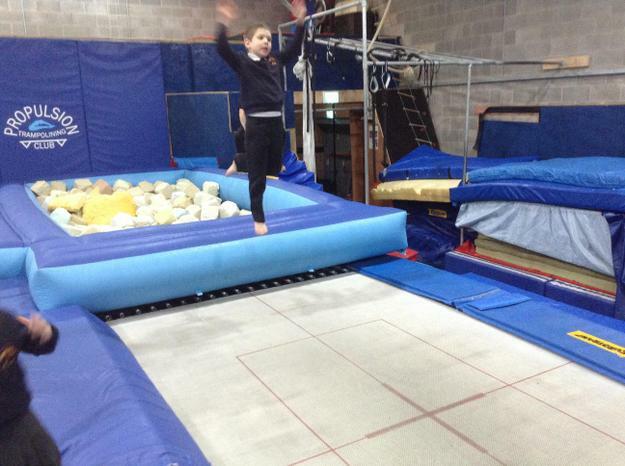 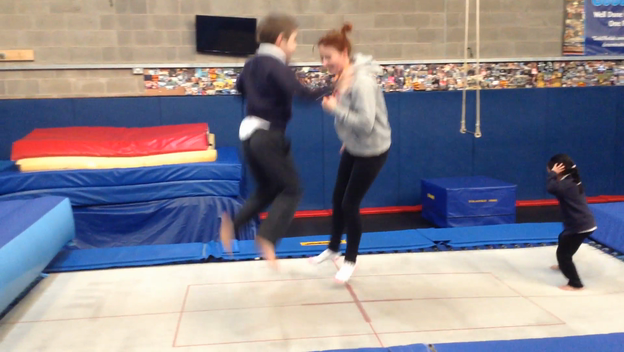 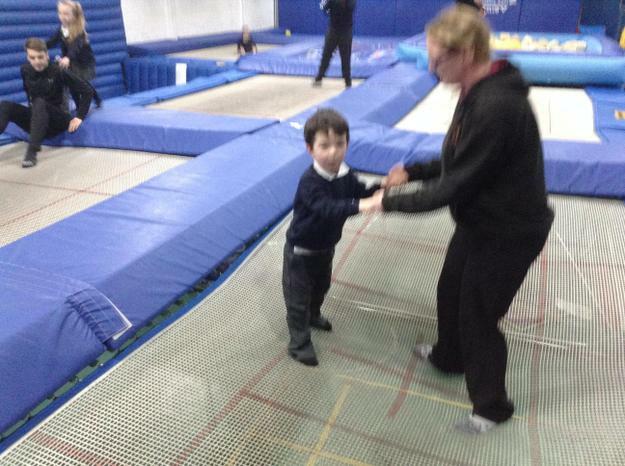 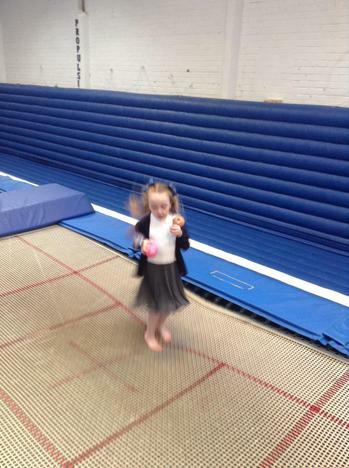 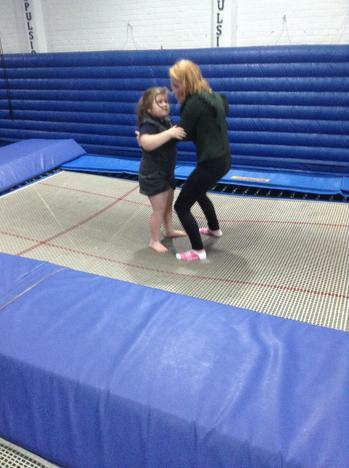 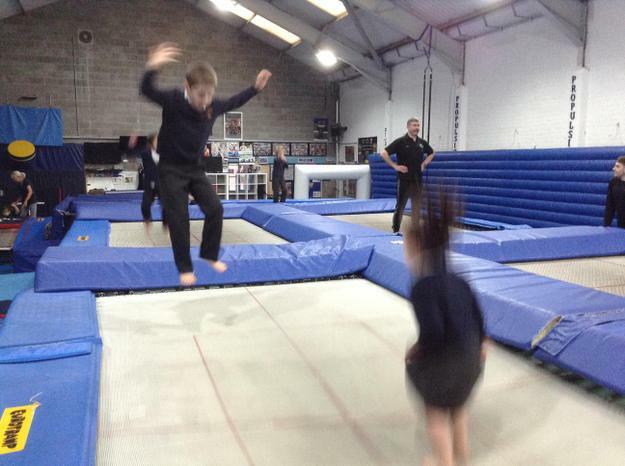 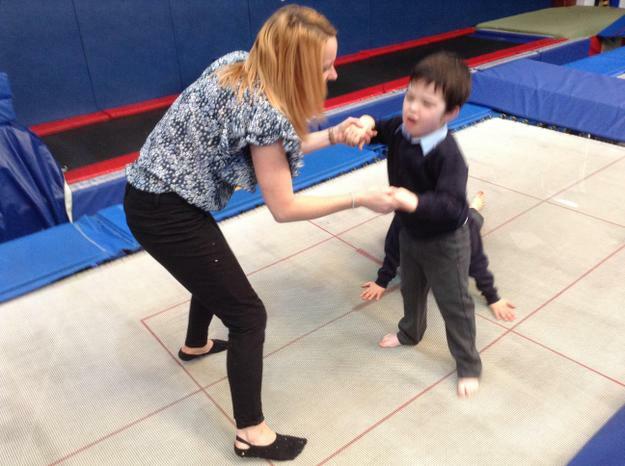 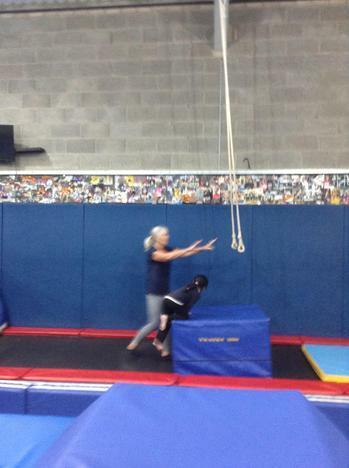 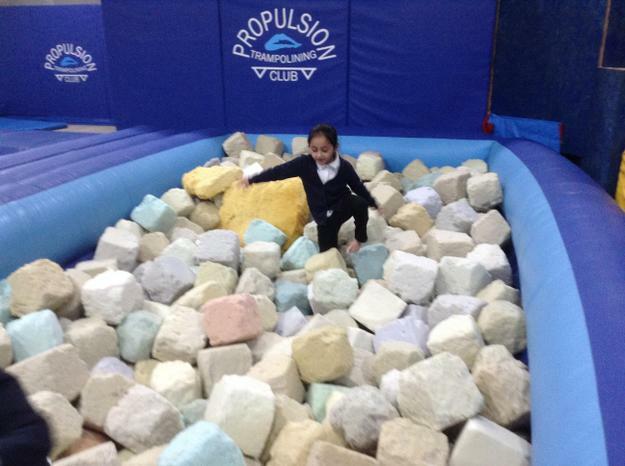 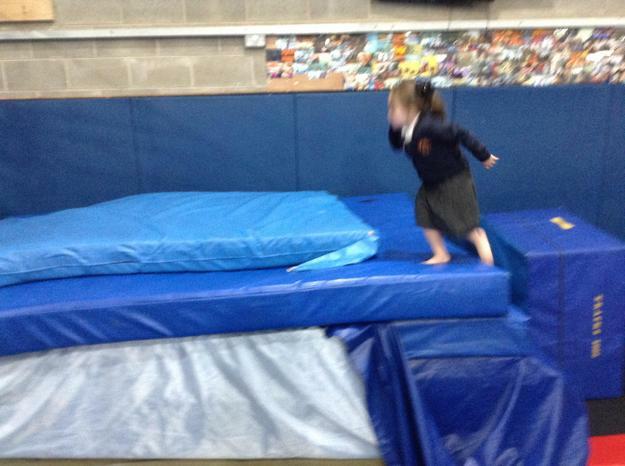 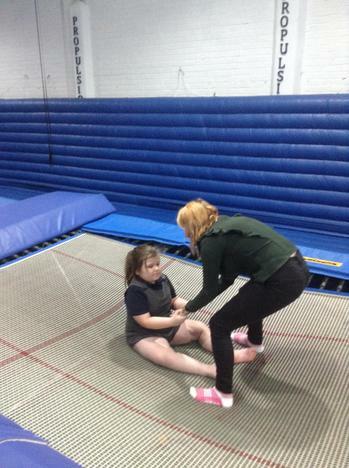 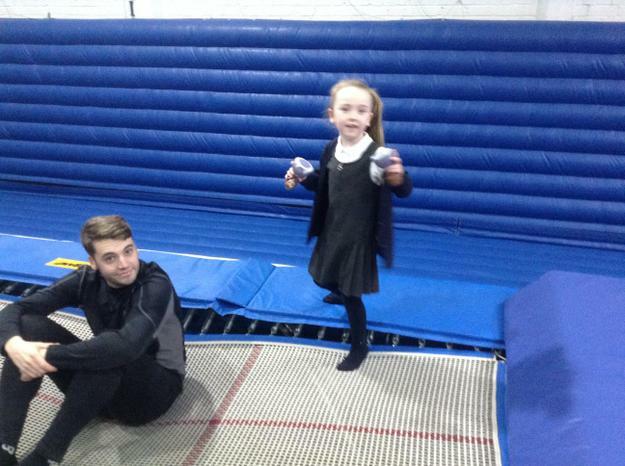 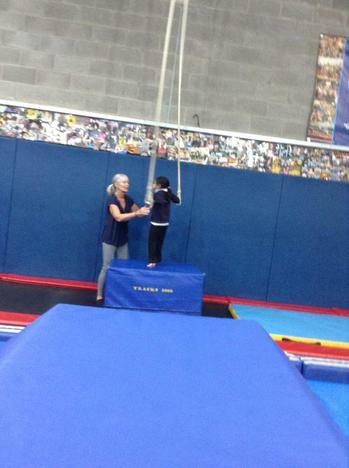 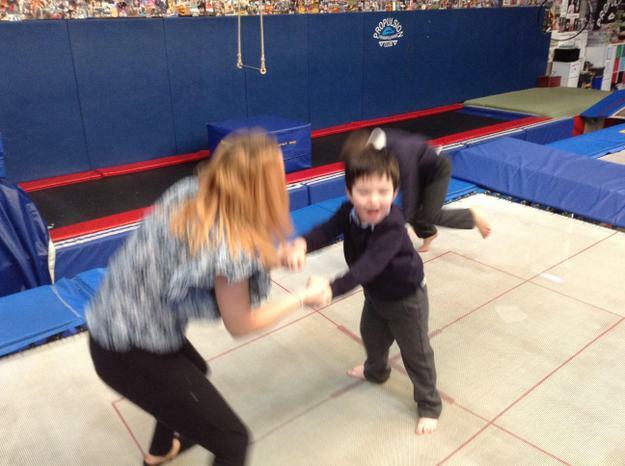 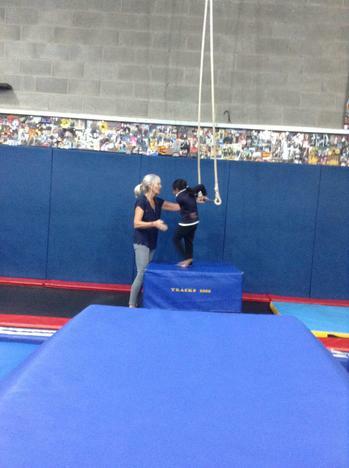 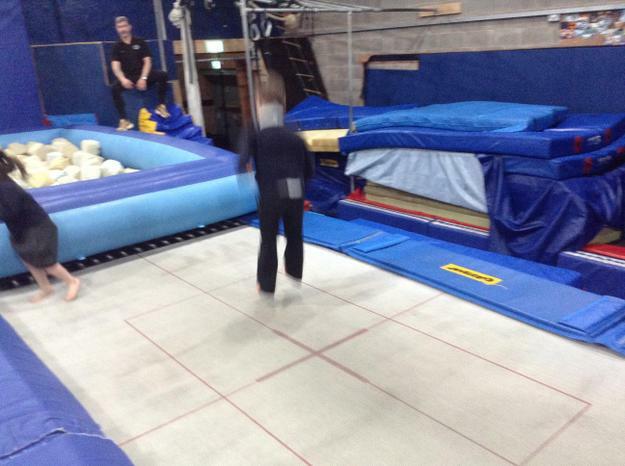 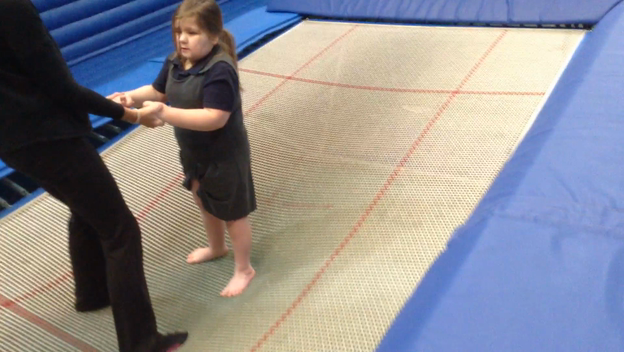 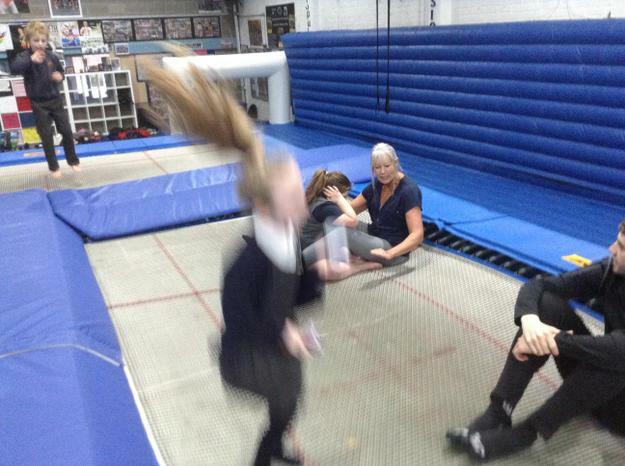 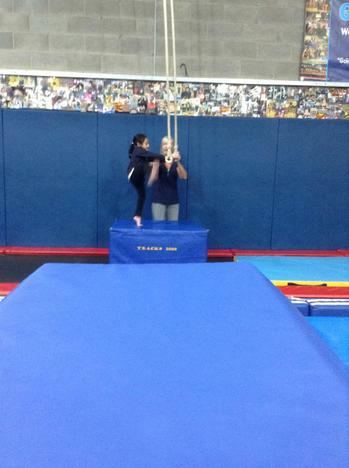 Lime class have been lucky enough to enjoy weekly rebound sessions this term at a specialist trampolining centre. 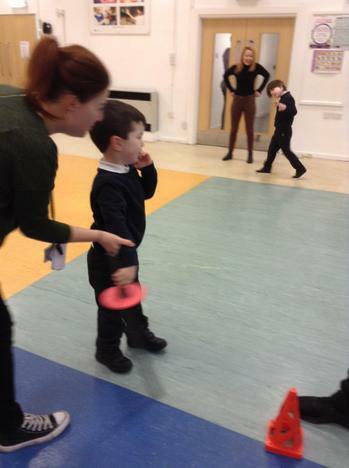 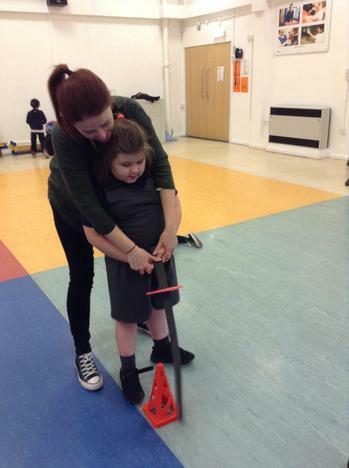 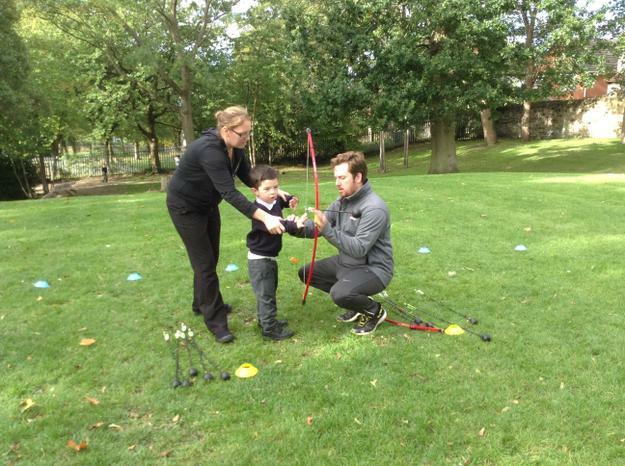 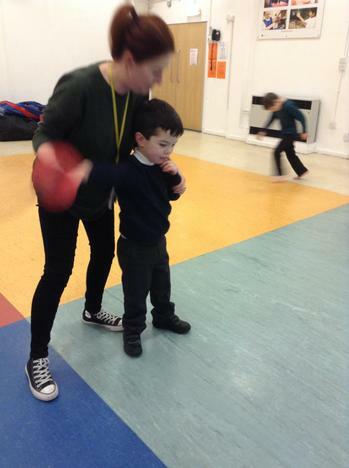 These sessions have helped the children to develop their gross motor skills such as running, jumping, crawling and balancing. 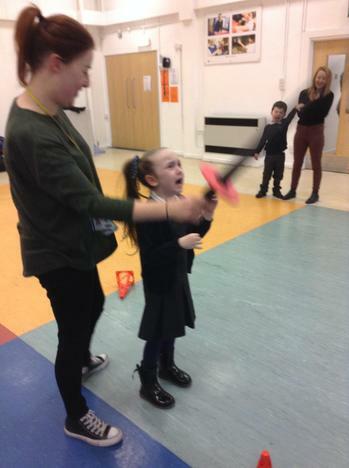 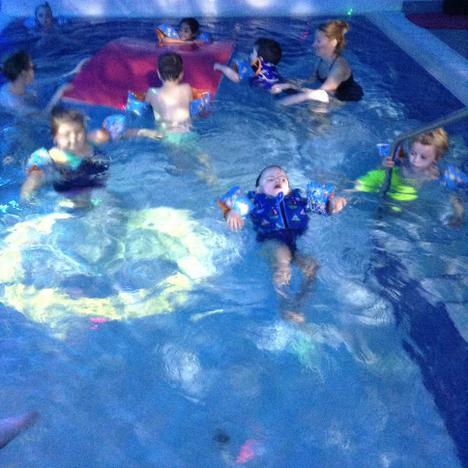 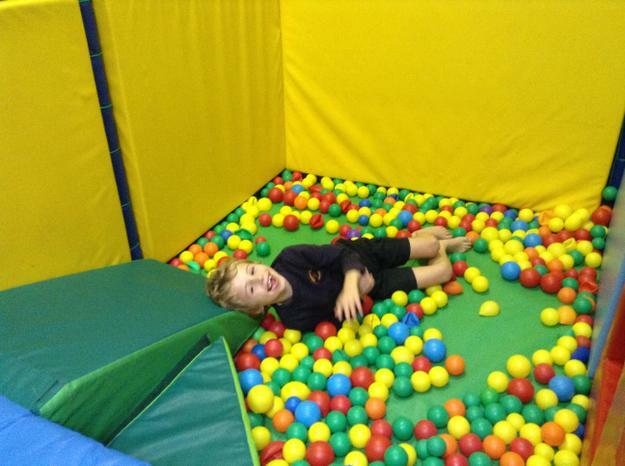 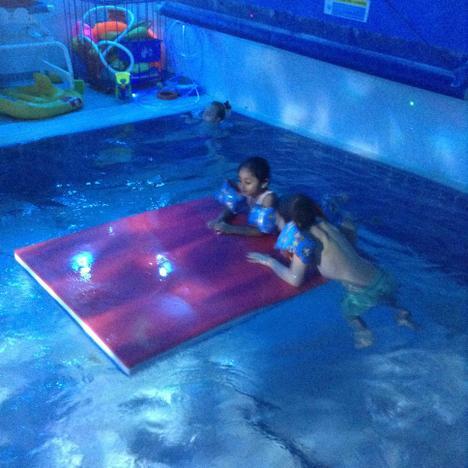 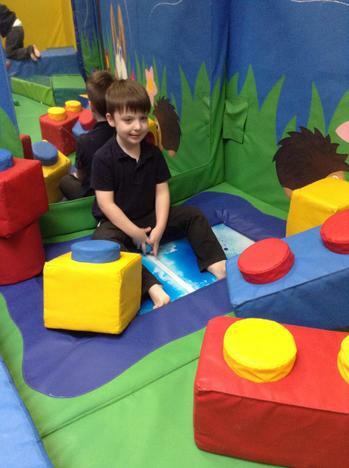 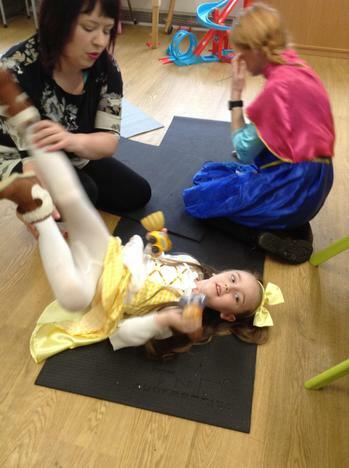 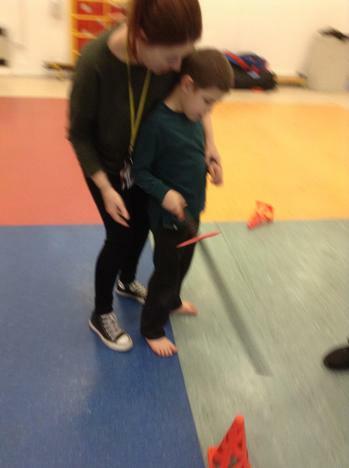 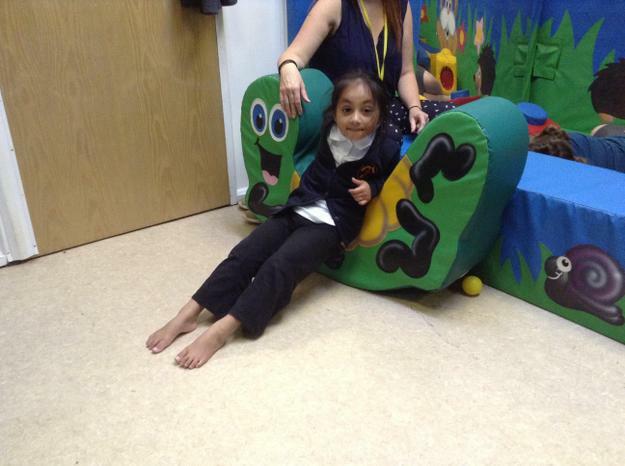 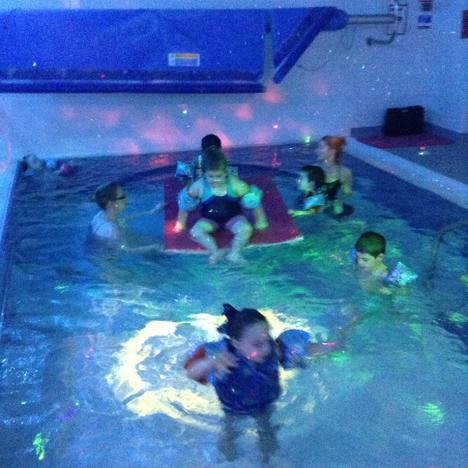 The sessions have been a great way for the children to burn off lots of energy and to get the sensory input they need to stay well regulated. 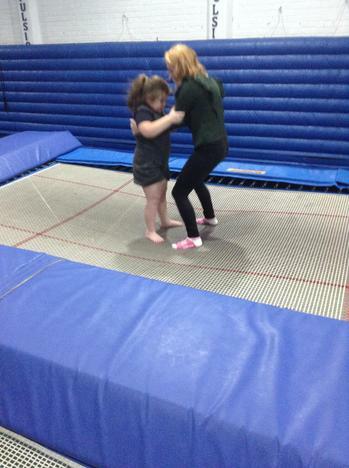 There was also lots of lovely interactions on the trampolines, with many children copying the movements and actions of adults and their peers. 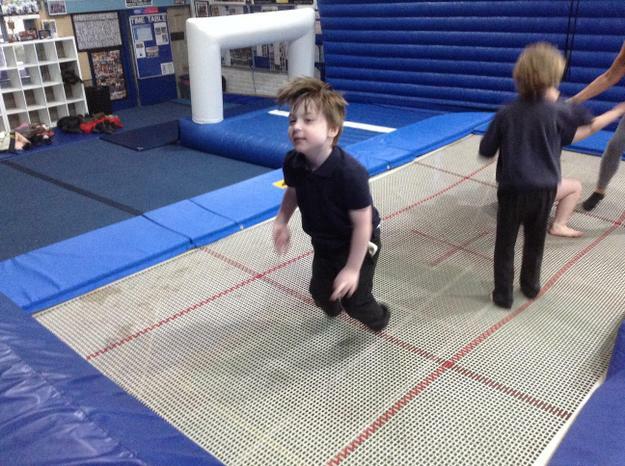 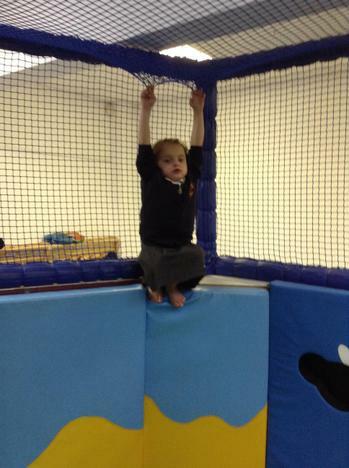 Above all, the children just had lots of fun bouncing around! 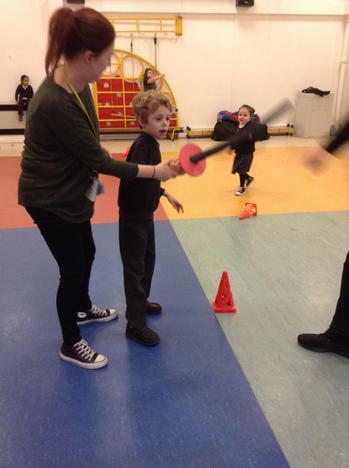 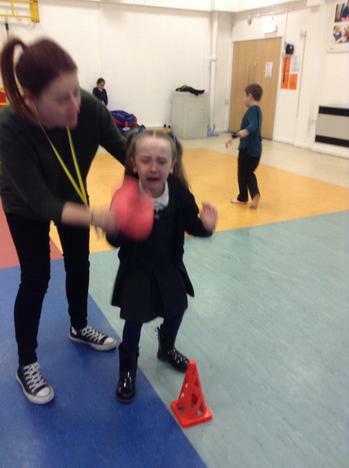 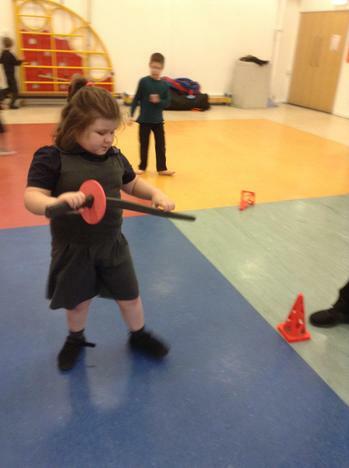 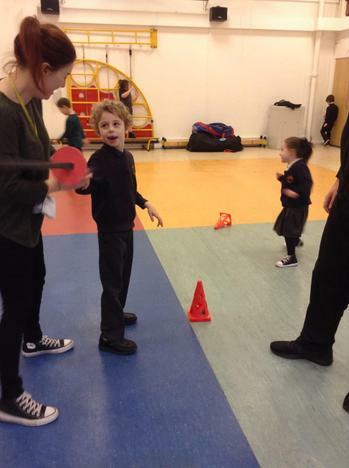 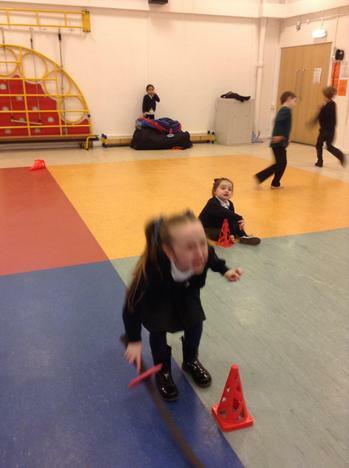 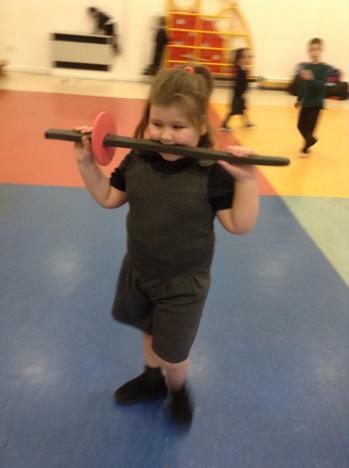 Lime class really enjoy being active during our physical education activities. 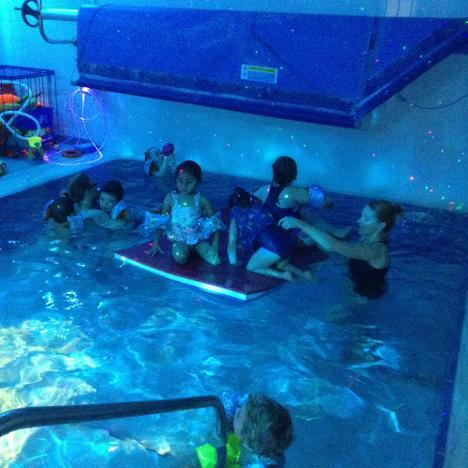 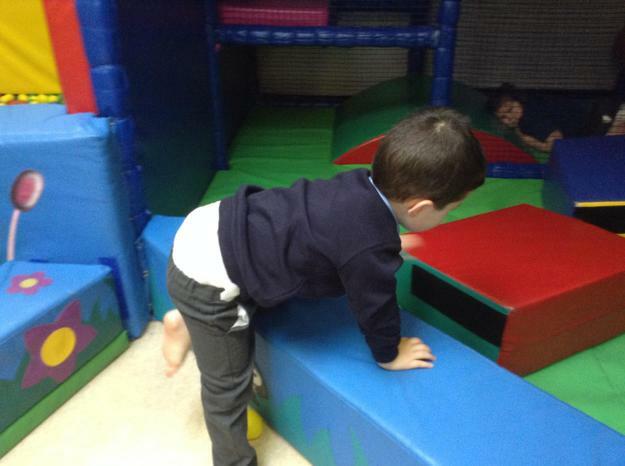 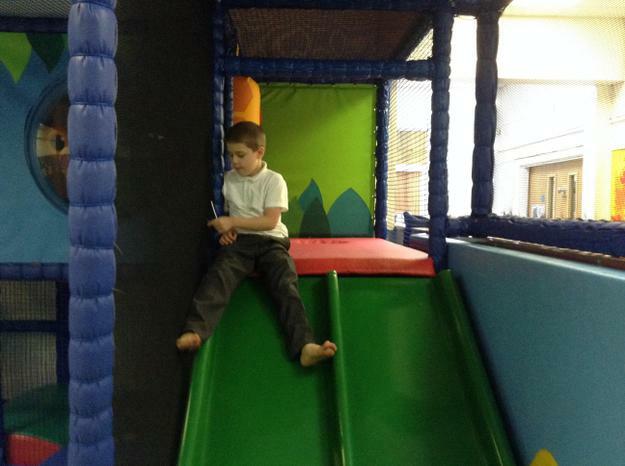 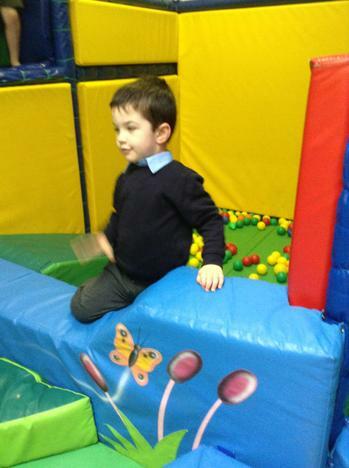 We have a weekly soft play session, during which we love to climb, jump, roll, slide and balance using the soft play equipment. 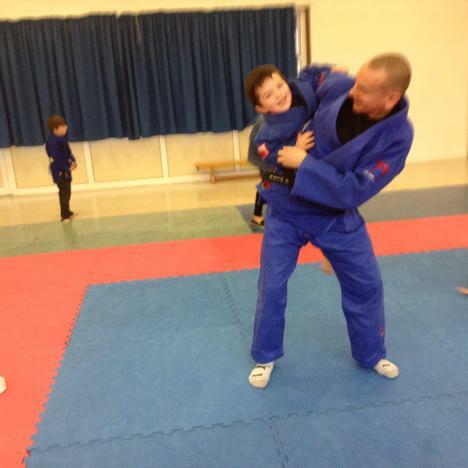 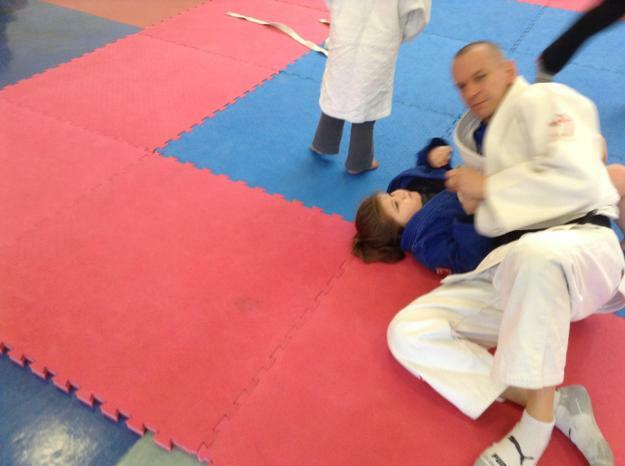 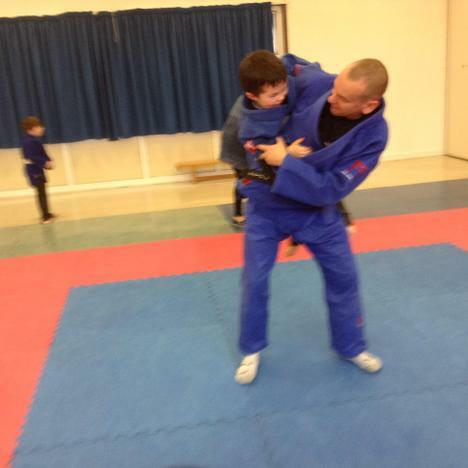 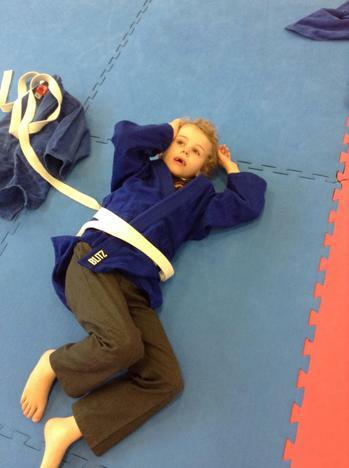 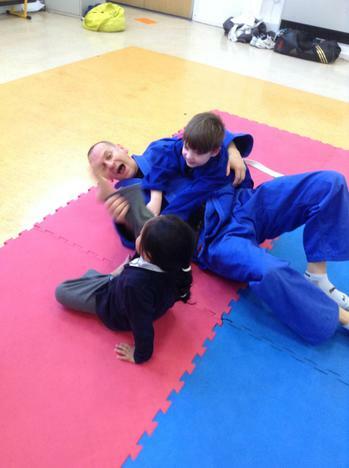 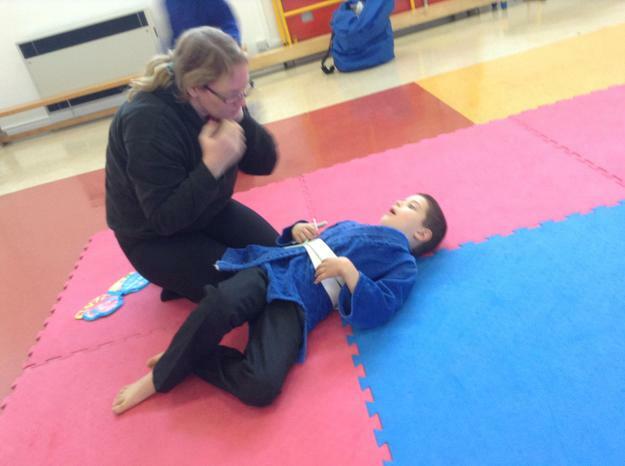 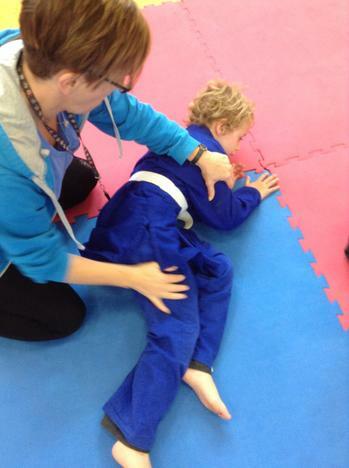 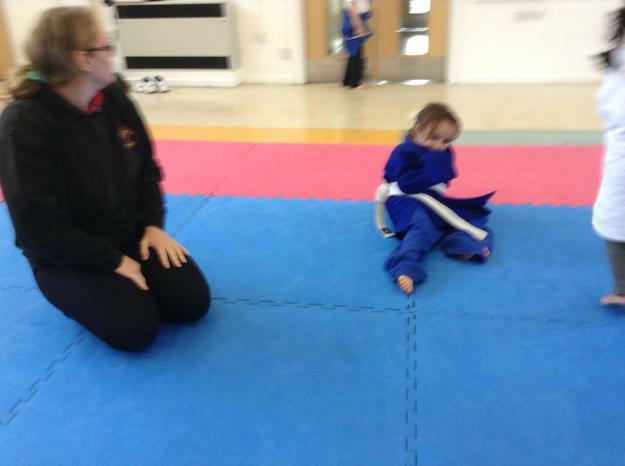 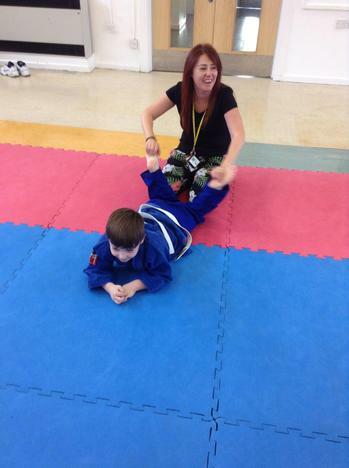 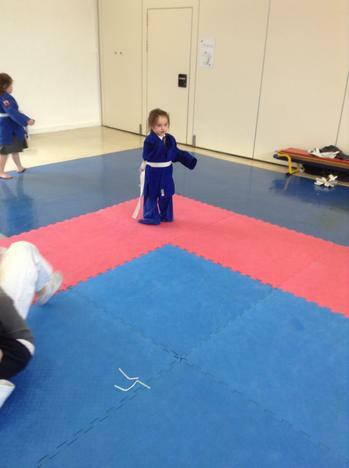 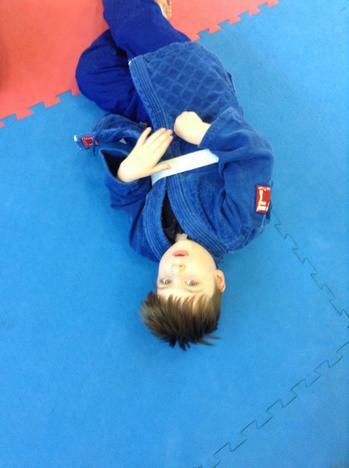 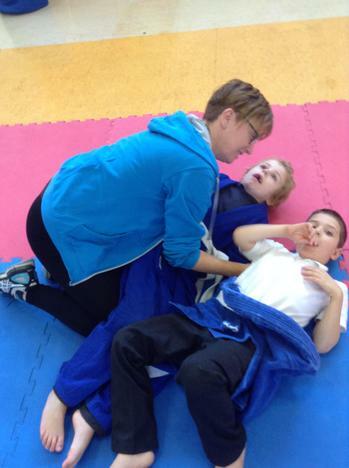 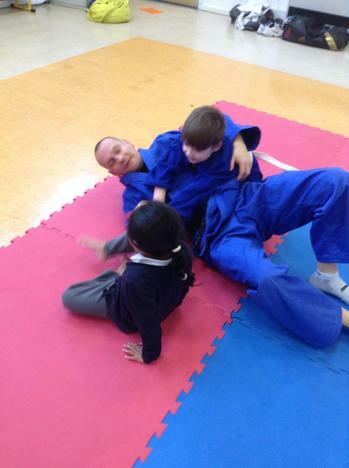 We also enjoy a weekly judo session with a specialist judo teacher. 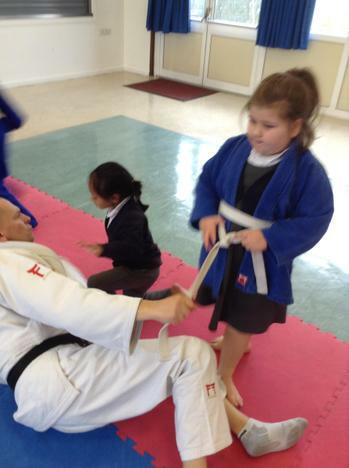 We are getting used to the session and are all becoming more confident learning the judo moves. 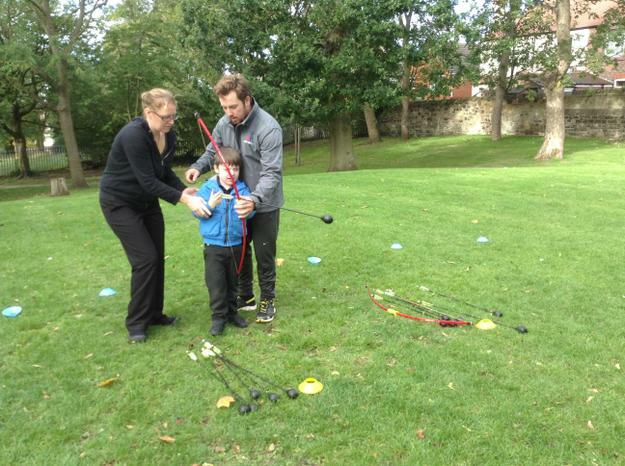 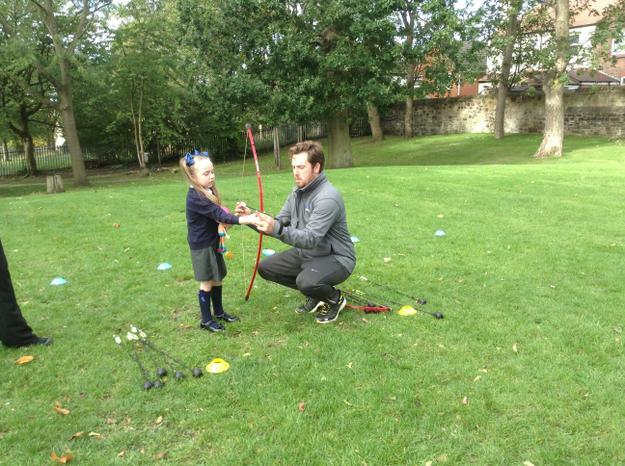 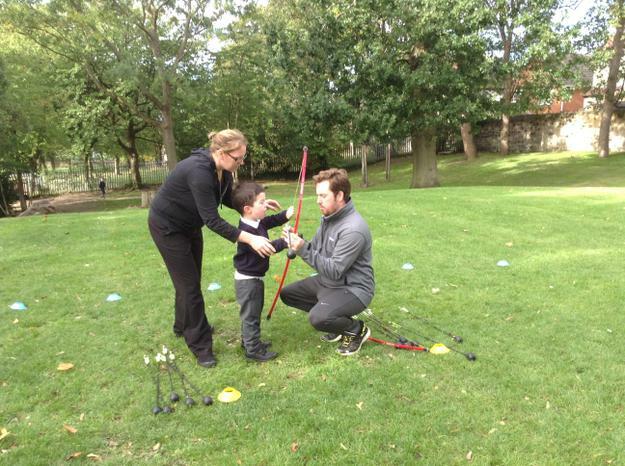 Some of us also enjoyed an archery session on the hill. 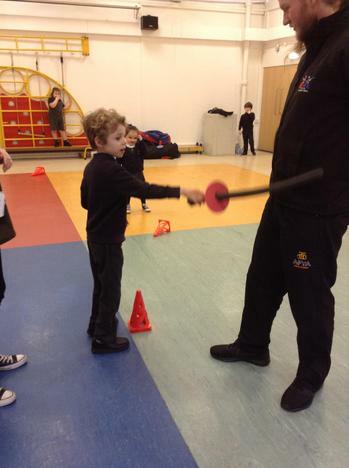 It was fun to hold the equipment and try to hit the target! 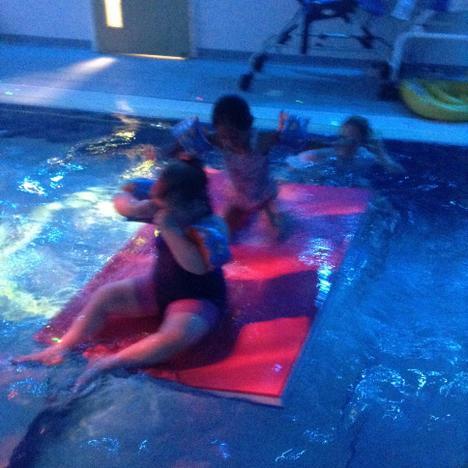 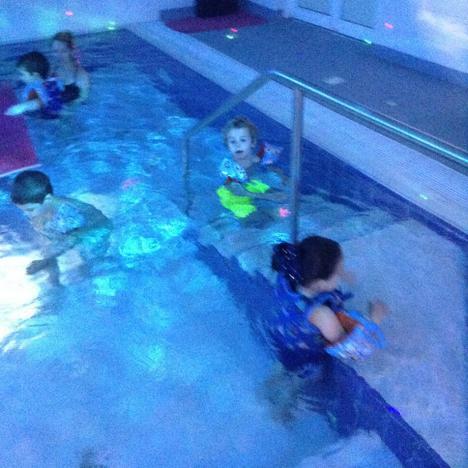 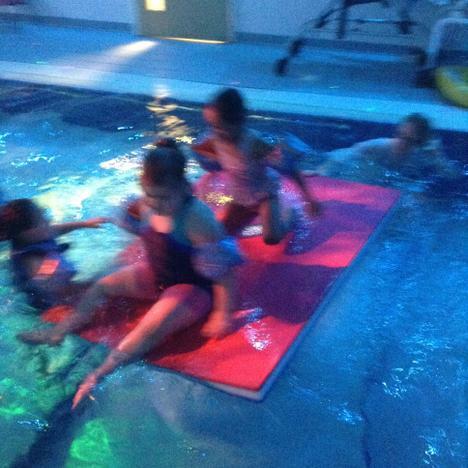 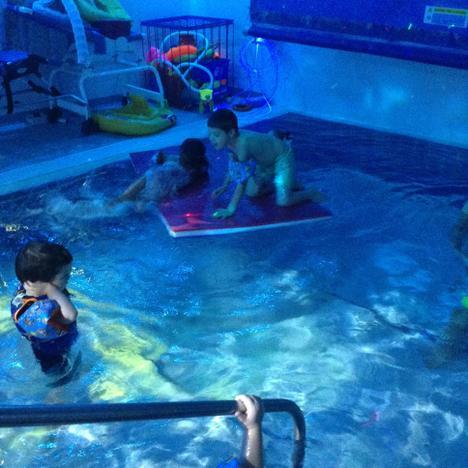 We also have lots of fun during our weekly swim session.